This yard is a blessing and a resource of inspiration. When I committed to a photo-a-day during April I was worried that I could not possible d0 this and also train as Resident Supervisor of an Adult Foster Care home. 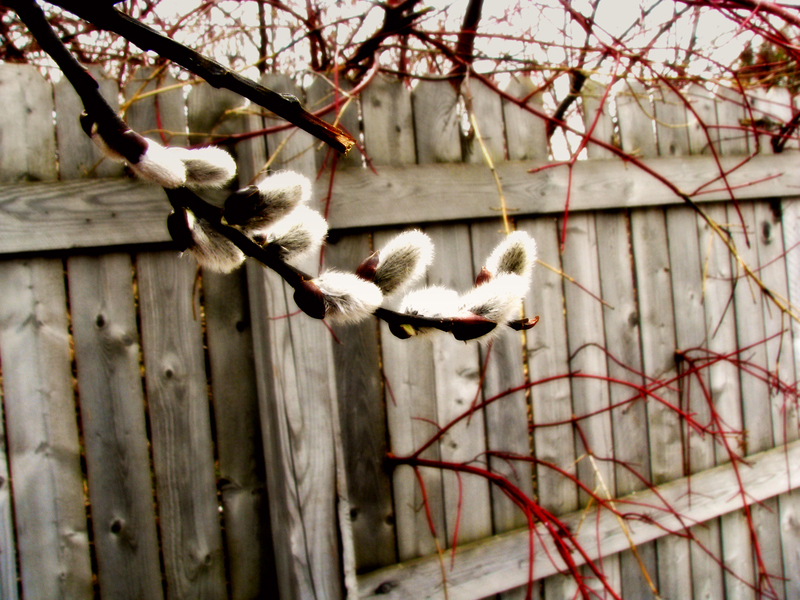 But again and again, the yard brings beauty. This fine wet day filled with fog and reports of snow in the forecast also caught me off my best, feeling a little under all this weather, and in need of a slow lazy morning. Two days in Gwinn and all I got was this rainy, through the windshiled while driving, photo! Oh and two days of cross-training at Lakeside, a Gwinn Adult Foster Care Home. I also had a marvelous walk on a spring day, Monday. 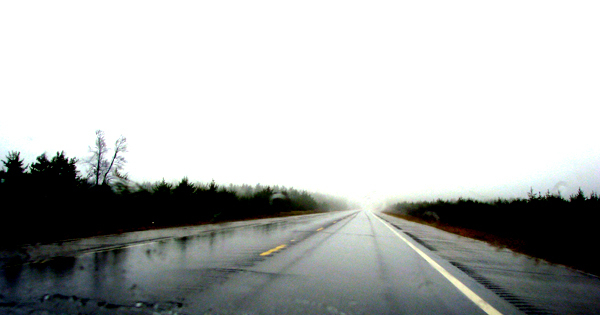 Tuesday’s drive was full of rain and fog. 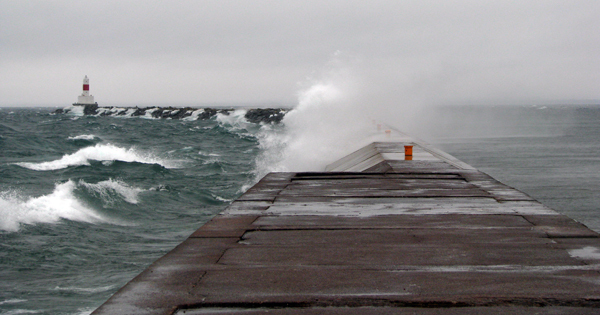 My gas tank was riding empty, again, but I was drawn out to Presque Isle in Marquette, Michigan where stormy waves crashed over the breakwall and rocks lining Lakeshore Blvd. Two ore boats were at the dock, riding high and empty and in no hurry to head out. One lone runner ran head-long into the wind, dressed in a red and black jacket with hood up, looking strong. I was cold, no rain gear, but had to get a photo of the day. Hoping I caught something good, I then headed downtown, spilled the contents of my change purse on the counter at Farmer Q’s and counted up quarters, nickles, and dimes to buy produce for tonight’s dinner. 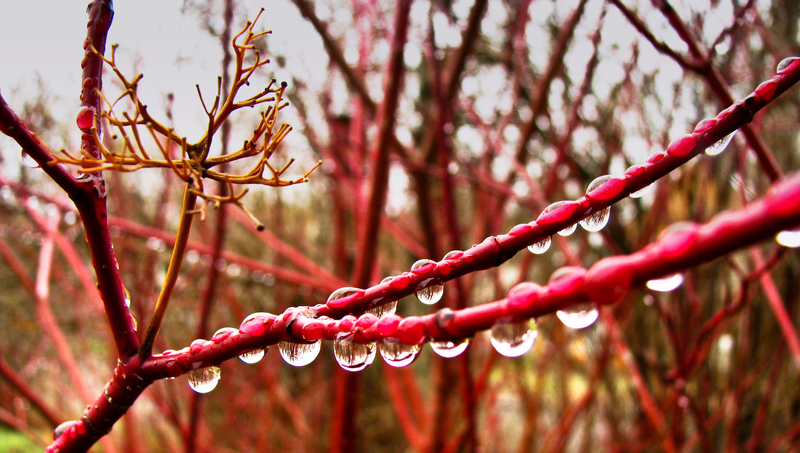 All-in-all, it was an ordinary wet cold day full of grey, tiny splashes of color like tiny sleet pellets, attention getting and not quite focused through the rain-blurred windshield. 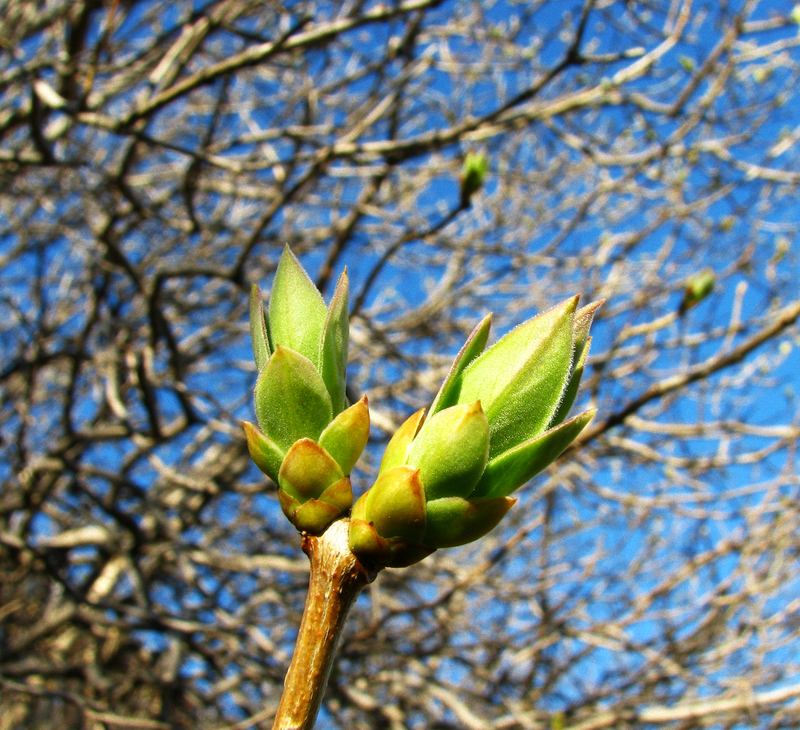 It May be Late April...But it is an early Upper Peninsula spring. It get’s complicated and things get lost. I lost a set of rechargeable batteries and an 8 Gig SD card full of cherished family photos. And I did not have back-ups of the data. Mike suggested leaving out a bowl of electrons and seeing if the SD Card will come home to me. So Here goes…come home SD Card we miss you and all your little pieces of data. Want to cuddle, go for a camera walk? I am here. I am sorry I ignored your needs. I have a pen to store you in–I promise I will take time with you. These things will come back to me ( I Hope). BTW I am good at Fruit Stickers. It is one of the only pages I’ve worked on! I eat a lot of fruit. The April 30-Day Project was a commitment to my art that I underwent when taking a full-time middle management position. 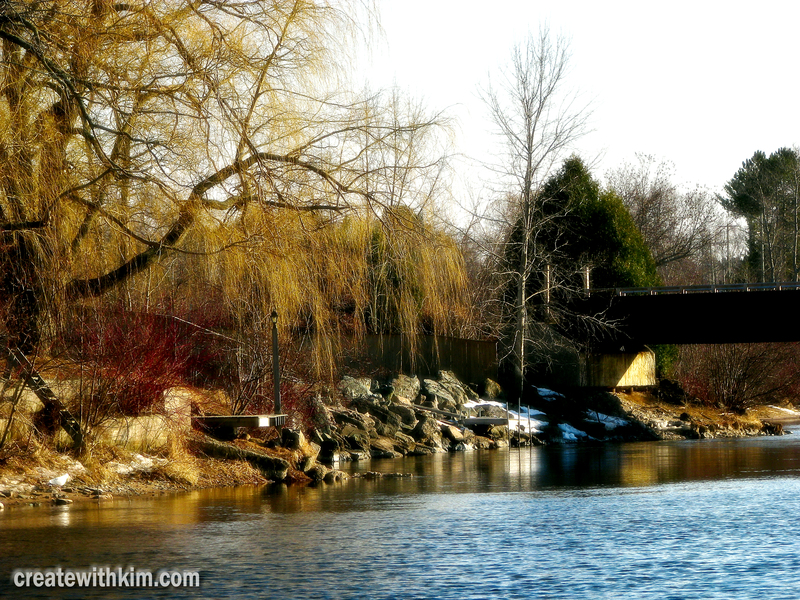 I felt it would be a step back, creatively, so I ought to pick a focus. The project has been a challenge. But it keeps my eyes open for the creativity in my daily life. April seems to be getting away from me. 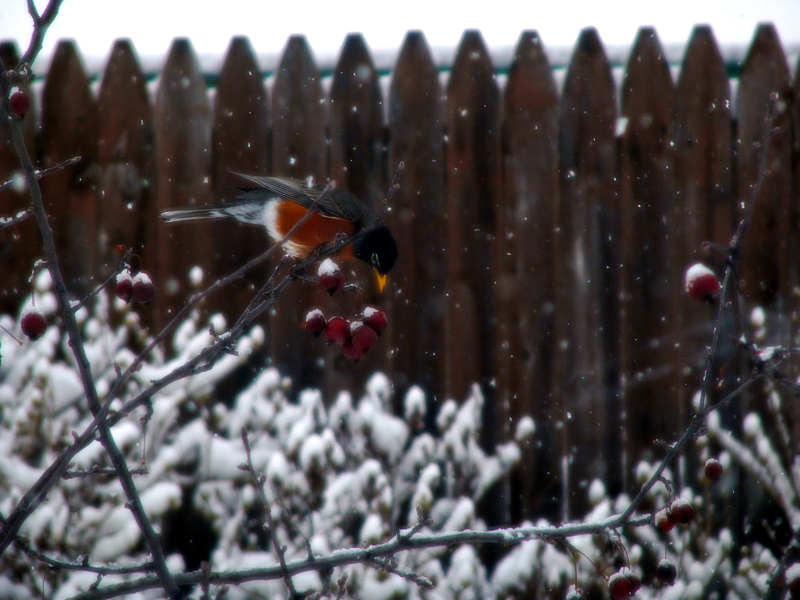 But I stop often enough to notice the robins in the backyard. Today, the birds are rioting in the crab apple. Mike helped them out by placing a lid to 5 gallon bucket and filling it with seed. The birds have put up with two days of spring snow. The cowbirds fill the apple tree by the fence. Everything is coated in snow. Marquette Sets a Guinness World Record! Guinness World Record: “Largest Skateboard Parade” in Marquette, Michigan on the campus of Northern Michigan University. Marquette Informal Longboarding Foundation And NMU Skate and Snow organized a Skateboard Parade to break the world record, and of course they were successful! Whoot! I was on hand to take event photos. You can check out the full slideshow at my Flickr account. As for me? The only record I set for myself was a long list of incomplete projects and piles of chores that I now have to squish into my Monday evening. Yesterday I ventured into the yard to see what was popping up. Many crocus, some hostas are cresting with tender green, daffodils are up about an inch. 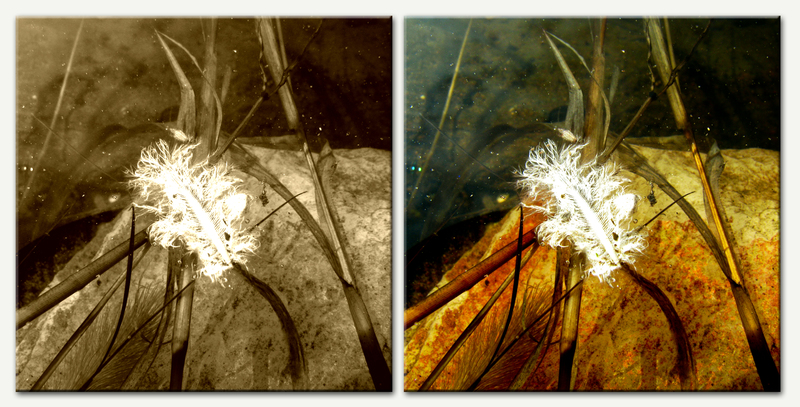 But it was this feather afloat on the pond that got me feeling all fairytale, that we all can dazzle in the sun, that we can come from the dull color of a long winter and find vivid life. 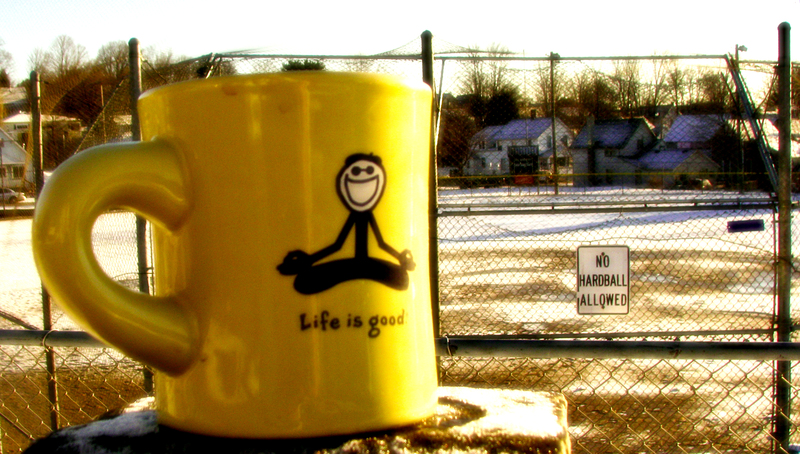 On my way to work today, I walked holding a steaming mug of coffee. The sun had been up a short while, the light at the ball field dazzling off a thin sheet of snow. I set my mug down to tie my shoe and snap a picture.